After giving a sneak peak of its second-generation diesel-powered prototype contender in October, Peugeot officially took the wraps off its new 908 Thursday in Paris. Winners in the three-round Intercontinental Le Mans Cup in 2010, the French manufacturer also confirmed a full attack in the seven-round global sportscar championship, which kicks off at Sebring next month. All nine of the teamâ€™s drivers - Anthony Davidson, Alexander Wurz, Marc Gene, Franck Montagny, Stephane Sarrazin, Sebastien Bourdais, Pedro Lamy, Simon Pagenaud and Nicolas Miansssian - return for their attack this year in the ILMC, including another three-car program at the 24 Hours of Le Mans. Marc Gene talks about the second-generation 908. * He was the first to drive the car in a test session, July last year at Barcelona. * The bulk of the testing in 2010 was done at Monza, Paul Ricard and particularly Motorland Aragon (due to a long straight line at that track). * Every driver always wants more power from the car... he calls the old V12 "the most fabulous engine I've ever had in one of my racing cars", but says that the new V8 should be on a par, although with less power and that it actually makes more noise than the V12. "Drivers adjust quickly to the new car and forget the comparisons eventually". * Chassis is much improved, the car is much more nimble and efficient through sequences of corners. * Some talk on the shark fin and its effects, tangential reference to the crash Marc had on test day at LM in '08. The news paper Autohebdo revealed this morning that the driver Nicolas Minassian went of the track yesterday at the Paul Ricard circuit with the new Peugeot 908. The French team was conducting a 30 hours simulation for the new endurance season. Minassian was unhurt in the accident but the tub of the car was hit, ending the practice session. According to preliminary information, a broken suspension fixation would have been the cause of the crash. Some details about the 2 testing crashes are revealed. A rear wishbone broke on Gene's car, which we already knew. The crash of Minassian was not caused by a mechanical issue. He lost the car, but the reason for this is unclear, perhaps a bump or cross wind. The drivers complained that the car is sensible to cross winds because of the dorsal fin. At Paul Ricard the Mistral winds can be strong. The goal of Peugeot for Sebring is to put as much miles on the new car as possible and getting the car ready for Le Mans. The win is not their main objective. Farmin said that they have not tested in similar high temperatures. That suggests that the Bahrein test rumor might not be true after all. He also observed that Audi did a lot of development on "a car that theoretically had to stay identical to last year". Looks similar to last years one but with new aerodynamics (large engine air-intake, mounted on top of the engine cover) and engine. Peugeot Hybrid Ready For Test Day Debut? There is a 50% chance it will be. The track debut could be the last round of ILMC (China). Alex Wurz reports on his twitter that Peugeot has finished a 3 day test at Paul Ricard. Sebring, Monza, Paul Ricard in 2 weeks! Peugeot leaves no stone unturned in its preparation for Le Mans. The new 908 was lapping (during it's 30 hour test) around 2.3 seconds quicker in the middle sector at Le Castellet than the petrol P1's have been lapping in free practice so far. The 2010 Le Mans spec 908 HDI FAP achieved 295-298kph on the Mistral, the new car was achieving 325-330kph during the test. French journaliste wrote that Minassian's 908 Peugeot flew from the Paul Ricard track to Le Castellet airport. 10 Peugeot drivers are set to take turns behind the wheel of the three official 908s at this weekendâ€™s test day at Le Mans. The 23-year old French driver, Jean-Karl Vernay, joins the Team Peugeot Total as reserve driver. 24H Le Mans : Peugeot's challenge ! Coming to terms with this unique circuit is an incredible challenge which calls for meticulous, rigorous planning. The drivers, cars and technicians are subjected to an unrelenting test for the duration of the event which just has to be the toughest in the world. Peugeot has won Le Mans on three previous occasions: in 1992 and 1993 with the petrol-fuelled 905, and in 2009 with the diesel 908 HDi FAP. These successes enabled the brand to showcase the benefit of technologies which also feature on its road cars. Peugeot's wide-ranging commitment to motorsport allows it to promote its values worldwide and the entire company shares the emotions which Peugeot Sport's activities inspire. "Our programme is geared towards this one race," says Olivier Quesnel, the Director of Peugeot Sport. "Le Mans is magical; a legend; a myth, endurance's racing's Everest. It is a competition apart where nobody can afford to take anything for granted. That's what makes defeat so cruel and victory such an elating experience. Just as we do every year, we have done everything in our power to arrive at Le Mans with the most competitive car possible and a fully-prepared team. We know that anything can happen in this race and we will need to produce a faultless display if we are to be first past the flag on Sunday afternoon." To prepare for the new 2011 regulations that were due to come into effect, Peugeot Sport's technical staff started to work on the current car immediately after the team's victory at Le Mans in 2009. The following July, the main lines of the newcomer's design were agreed and the V8 HDi FAP engine roared in anger for the first time on the bench at the team's base in VÃ©lizy, near Paris, on January 25, 2010. Six months later, on July 29, 2010, the car that would be unveiled as the â€˜908' on February 3, 2011, made its track debut at one of the PSA Group's test circuits. Bruno Famin, Technical Director. "It was competitive out of the box, and our priority throughout its development was to optimise its reliability. I believe we are close to achieving that objective, but you can never control absolutely everything in a race like the Le Mans 24 Hours. Every edition produces its share of surprises, and our hope is that we will have fewer surprises than has been the case in recent years, despite the fact that the 908 is an all-new car." Judging by the 2011 season's early races, the gap compared with the competition is particularly narrow and the changes made to the regulations shortly before Le Mans week are likely to produce an extremely close-run fight. "We don't know who will be the fastest in practice. To get an accurate idea of how we compare in terms of performance, we will need to wait until the first stint of the race on Saturday afternoon," observes Bruno Famin. "We have always kept to our game plan by remaining focused on our preparations and objectives, without monitoring and analysing what our opponents have been up to," insists Olivier Quesnel. "At the pre-Le Mans test day on April 24 we stuck to our programme, and the same will apply during the two days of practice during race week, because once the race is underway we will need to be in a position where we can fight for the win. We are aware that even the slightest mistake at Le Mans can be extremely costly, whether it involves the drivers' job out on the circuit, our car or our pit-stop work. For that reason, we will need to produce an impeccable performance, in every domain. That is the mission for which we have prepared, but it's a long, long way to the chequered flag." Bruno Famin: "We opted again for a closed-cockpit because there is no difference between opened- and closed-cockpit cars as far as their aerodynamic performance is concerned. With regards to the engine, we have capitalised on our experience by opting for a turbocharged diesel V8. Its characteristics are very close to those of the last V12, while the â€˜vee' angle is 90 degrees compared with 100 degrees previously, in order to optimise balance. The 3.7-litre V8 HDi FAP delivers 550 horsepower. To counter this significant power deficit which stems from the 2011 regulations, it was necessary to rework the aerodynamic package in order to significantly reduce drag. Last but not least, we have worked closely with our partner Michelin to produce a specific range of tyres." 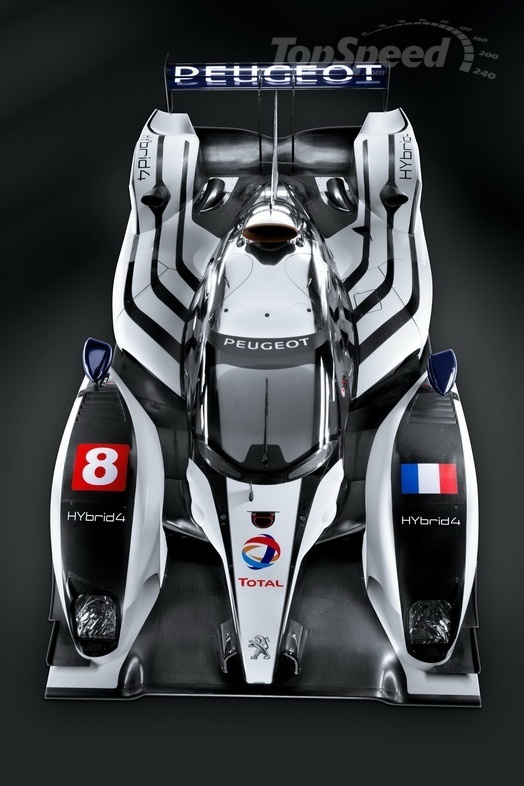 The latest car is the third-generation Peugeot endurance prototype to race at Le Mans after the 905 (1991 to 1993) and the 908 HDi FAP (2007 to 2010). The nine drivers who form the Team Peugeot Total's line-up are the same as those who raced for the team in 2010, and they count among endurance racing's very best. Throughout the past 12 months, they have been actively involved in the testing programme. They have also contested two races since the beginning of 2011 and attended a series of physical fitness programmes in Toulouse, which culminated in a final, open-air team-building week in Chamonix! "They know each other very well," says Pascal Dimitri, Team Manager. "However, it is vital that they work and spend time together away from the racetrack a little. Forging a solid bond between them is primordial. Despite their strong individual characters, they form a very united squad." Its characteristics are very close to those of the last V12, while the â€˜vee' angle is 90 degrees compared with 100 degrees previously, in order to optimise balance. The 3.7-litre V8 HDi FAP delivers 550 horsepower. Thanks for this info. I was reading about the Peugeot test the other day of their new diesel hybrid. And I was curious about the power characteristics. Will these cars run along their "sister" cars which are not hybrid? Or will there be a new class for this type of car? And will any other manufacturers produce a hybrid for 2012? I assume this car will compete in 2012? Following its unveiling at the 2011 Geneva Motor Show in March, the Peugeot 908 HYbrid 4 underwent its first track test at Estoril on October 11. One month after its convincing shakedown run at a private PSA Peugeot CitroÃ«n venue on September 16, the 908 HYbrid4 underwent its first genuine track test at Estoril, Portugal, in October. The car completed a little more than 300km in the hands of Nicolas Minassian, StÃ©phane Sarrazin and Alexander Wurz. â€�Our aim wasnâ€™t to put a lot of kilometres on the clock, but to verify that all the chief functions performed,â€� reports Peugeot Sportâ€™s Technical Director Bruno Famin. â€�It was important to analyse the data of each run to be sure we understood the results before moving on to the next step. The system functioned well and responded as predicted, which was very satisfying. At the same time, we started to make a few adjustments to the carâ€™s basic set-up. It worked well, so thatâ€™s very positive. After the introduction of diesel hybrid power on the 3008 HYbrid4, Peugeot profited from the recent Frankfurt Show to take the wraps off the 508 RXH which combines radical styling and environmental excellence. At the same time, Peugeot Sport has been working closely with engineers from the Group on the design and development of a hybrid system that can be carried over to motorsport. The 3008 HYbrid4, 508 RXH and 908HYbrid4 are all illustrations of the determined, pioneering approach Peugeot has been taking with regard to diesel/electric hybrids. In the same way as it collaborated actively with the Groupâ€™s engineering specialists when choosing and developing the diesel engine for the teamâ€™s endurance racing programme, Peugeot Sport benefited from the Groupâ€™s research and development expertise to identify the most effective technologies, the best suppliers and the pitfalls to avoid in the area of hybrids. 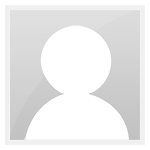 â€�We received advice and guidance in a high number of areas. As far as the electric motor is concerned, we have also learned a great deal ourselves, and that has led to a genuine two-way exchange. We are consequently making mutual progress thanks to our respective experience of what is similar technology,â€� concludes Bruno Famin.